As I walked into the movie theatre I was unaware of the obsession and attachment I would have to Disney’s newest animated film. Disney’s Moana is everything I could every want in a film. 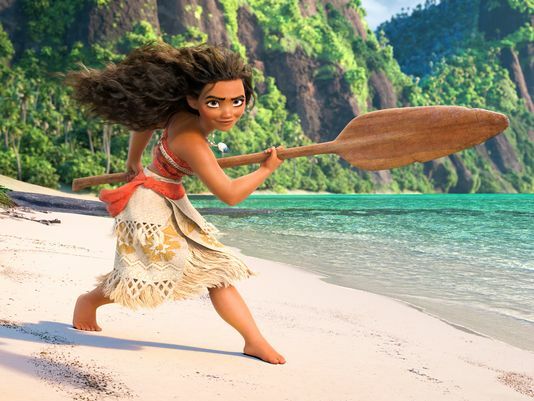 Women empowerment, Polynesian culture, and powerful music are just a few of the elements that “Moana” brings to the audience. “Moana” tells the story of 16-year-old Motunui native Moana Waialiki (voiced by Auli’i Cravalho). Moana has been fixated on the ocean and going beyond the reef her whole life. Her father, Chief Tui (voiced by Temuera Morrison), bans the island natives to travel the ocean. But Moana isn’t the average islander. As future chief of the island Moana feels forced into being the new leader, but is called by the ocean to do bigger and better things. Moana’s grandmother, Tala (voiced by Rachel House), motivates Moana to look within and listen to her heart. Moana sets out on an adventure across the ocean to return the heart of Te Fiti, a Polynesian island goddess. 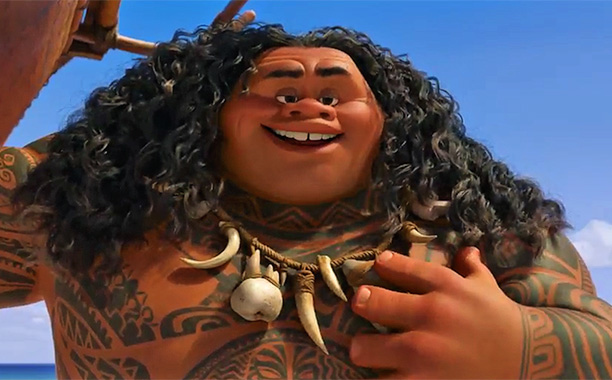 In the lore of the movie, a demigod named Maui (Dwayne Johnson) stole the heart of the island in hopes of gaining the praise and admiration of islanders across the ocean. Stealing the heart from Te Fiti caused a great plague over the Polynesian islands, with the heart of Te Fiti needing to be restored in order to end the plague and darkness. Along her journey Moana searches for the demigod Maui to help her return the heart. As Maui is the one who stole it, the lore requires him to be the one to return the heart as well. Maui is a stubborn yet cocky demigod. He feeds of the admiration and glory islanders used to give him during his days of being a hero. In order to return the heart though, Maui needs to retrieve his fish hook that grants him the power to shapeshift into varying creatures. My favorite character of the film, Tamatoa (voiced by Jamaine Clement), is a villainous crab that has the item Maui needs. 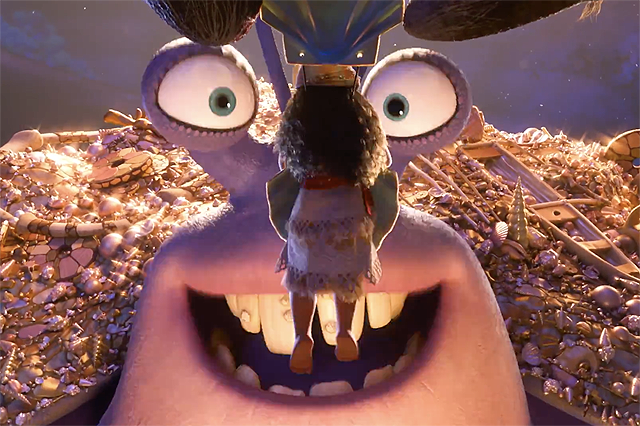 Through a song that has David Bowie-esque vibes, Tamatoa tells his story of his love for gold and shiny objects. I don’t want to spoil the whole movie, but Moana goes on her way with Maui in the hopes of saving the Polynesian people. The story of “Moana” speaks to many people. “Moana” motivates its audience to think beyond the norm of society. The film teaches people to look within and follow their inner calling. The music of “Moana” is the real selling point. Lin-Manuel Miranda and Opetaia Foa’i team up to bring an upbeat and empowering soundtrack to flow along with the current of the film. The music and lyrics are true to the Polynesian culture and lore that the film is based off of. This aspect of being true to the culture is the backbone of the film. The voice cast mainly contains actors and actresses with Polynesian heritage. The songs are sang by those connected with the culture. The characters are voiced with those who have a Polynesian background. The choir and background vocalists are those from Polynesian heritage. The story of “Moana” is not told by a room full of white people. The story is not told by people who want to try to tell the story of a culture they have no connection to. “Moana” comes from the Polynesian culture and is told entirely by those very people. I was pulled into the world of “Moana” with each song and scene. “Moana” isn’t another regurgitated Disney story line, it breaks the barriers. Disney’s “Moana” lifts the bar even higher for animated movies in the future. Go see “Moana” and let her sail her way into your heart.